It seems the next wave of domestic online sports betting is about to come to fruition. 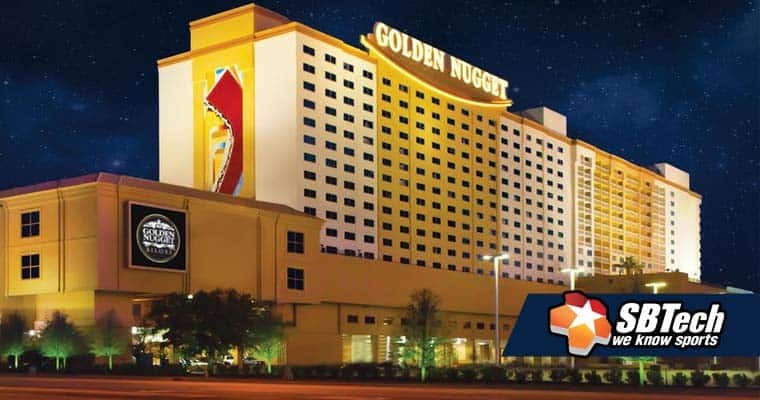 SBTech, one of the largest digital sportsbook solutions provider, forged a partnership with Golden Nugget to introduce betting options for their casino locations in New Jersey and Mississippi. This partnership will bolster the new sports betting operations within these states and will set an example for future states to look out for. SBTech already works in New Jersey with Churchill Downs and helps to facilitate sports betting at Resorts Atlantic City. This new deal sets up online and land-based betting options for the Golden Nugget in New Jersey. For Mississippi, the deal only has provisions for land-based betting. Mississippi’s sports gambling legislation does not allow online betting and restricts mobile wagering to the confines of their existing sportsbook locations. Golden Nugget’s Senior Vice President and General Manager, Thomas Winter, is optimistic about the new partnership. The casino put several iGaming providers through a strict review process and Golden Nugget stuck it out all the way through. SBTech is an experienced company when it comes to gambling technology, especially with adhering to strict regulations. SBTech seems to be on a mission to integrate themselves into the US-based sports betting market and this is a positive step forward in that regard. Although New Jersey’s legislation allows for online and mobile sports betting, nothing has started as of yet. SBTech will likely be behind any sort of digital wagering, which will add to their portfolio and help their case in partnering with brick-and-mortar casinos in other states. Cause for the delay has shifted between NJ’s Division of Gaming Enforcement requirements and there is also the Federal Wire Act, which may come into play once online betting gets going. In any case, SBTech will be lying in wait. An interesting component of the NJ Golden Nugget sportsbook is that they will not offer any NBA betting lines. This is because the owner Tilman Fertitta also owns the Houston Rockets. According to New Jersey’s gambling laws, this creates a conflict of interest and is grounds for removing the NBA from the equation. Regarding Mississippi, it will take further amendments to their standing legislation in order to successfully introduce online wagering. SBTech will be on other states’ radar as they weave into the Golden Nugget locations in Mississippi and New Jersey. This is a groundbreaking point in the story of domestic sports gambling and could clear the path for a similar format in the future.